The first track is called “Good Thing.” It has a timeless feel to it that takes you back a few decades. It’s a relaxed tune with soothing instrumentals and a muffled overtone to the entire track. “I Root” is the next song. There’s a more rhythmic drum line to this one, and a distinct do-wop tone to it. Like the first one, this track is laid back and serene. A few tracks later, “Scumaway” changes things up a bit. The tempo picks up slightly, and the instrumentals seem to become bolder. The track is reminiscent of beachy tunes, and it’s refreshing. “Oh, You Wanna Bet” slows things way down. This piano ballad is gentle and lyrical and it builds up in intensity throughout the track. We are definitely big fans of this one. At only 1 minute and 37 seconds, “Twelve” is the shortest track on the entire album. It’s purely instrumental, and it’s catchy. The rhythmic drums draw you in, and there’s a mysterious air to this track that you can’t quite place. The last track on the album is “Light That Ever.” It’s an uplifting tune and the perfect ending to the album. Michael Nau definitely has a very distinct style, but he does his style well. This album is innately connected and full of beautiful tracks fit for a relaxing day. Some Twist is available now. 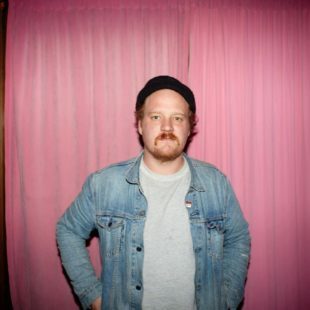 Keep up with Michael Nau here.